We are a full service, 24/7 operation offering everything our Customers could desire. We have it all including a newly remodeled Pilot's Lounge, Waiting Areas, & Meeting Room, Courtesy & Rental Cars, Gourmet Catering, FREE Wifi, Charters, Full Service Maintenance & Parts Departments, Hangar or Tie-Down Space, AC Detailing, Gift Shop & Flight School. You name it & we can make it happen! Please email Support@FltPlan.com for further information. 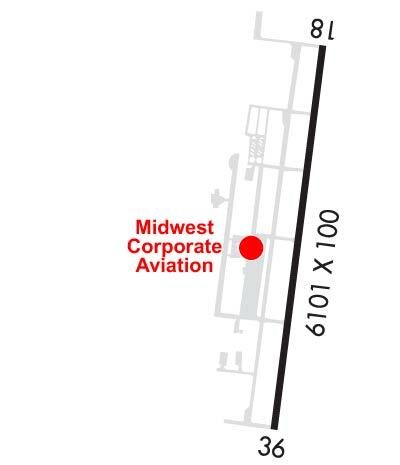 Airport Diagram might not be current. Airport Lighting Schedule APT LGT SKED: ACTVT MIRL RY 18/36, MALSR RY 18, REIL RY 36 - CTAF. PAPI RYS 18 & 36 OPR CONT. USE CTN FOR MCCONNELL AFB 9 MILES S AND BEECH FACTORY ARPT 3 MIS SE. 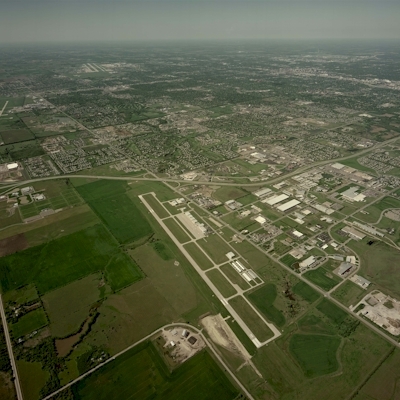 BEECH FACTORY RWY 18 EXTDD CNTRLN ONLY 1 MI E.
SOUTHERLY AND SOUTHEASTERLY VFR ARR AND DEP NOT RCMDD WO ATC RADAR SVC DUE TO BEECH FACTORY ARPT AND MCCONNELL AFB ASP. VFR ARR AND DEP ARE RCMDD TO RMN AOB 2,400' MSL WITHIN 5 MIS DUE TO HEAVY MIL TFC AT AND ABV 3,000' MSL. DUE TO 20 FT RWY END ELEV DIFFERENTIAL, PILOTS MAY LOSE LINE OF SIGHT OF OTHER ACFT ON OPPOSING RWY AND TWY ENDS. NOISE SENSITIVE AREAS S, SW, AND W.
PPR FOR ACFT CARRYING CLASS 1 - DIVISION 1.1, 1.2, OR 1.3 XPLOSS AS DEFINED BY 49 CFR 173.50 OR AS AMDD. RWY 18 NSTD TFC PAT. EAA CHAP 88 LCTD ON SITE.